There are many different types of social media online. Simply speaking, social media covers all online communication platforms that rely on community-based interaction and collaboration. You can find social media in networking, bookmarking, forums, wikis, curation, and microblogging. Most businesses and individuals these days interact with social media in one way or another. Most websites have links to at least one, and often multiple, social media accounts through which consumers can receive information and interact with the company and other users. Social media can be used successfully to provide details about your brand and the services you offer, as well as an opportunity to communicate with current and potential customers in a more personal way. Social media analytics allows us to record data from our social media accounts and analyze the effectiveness of our marketing strategies. Mining customer sentiment provides an in depth look at how customers feel about your business. We then use this data to make and monitor changes to the strategy moving forward. 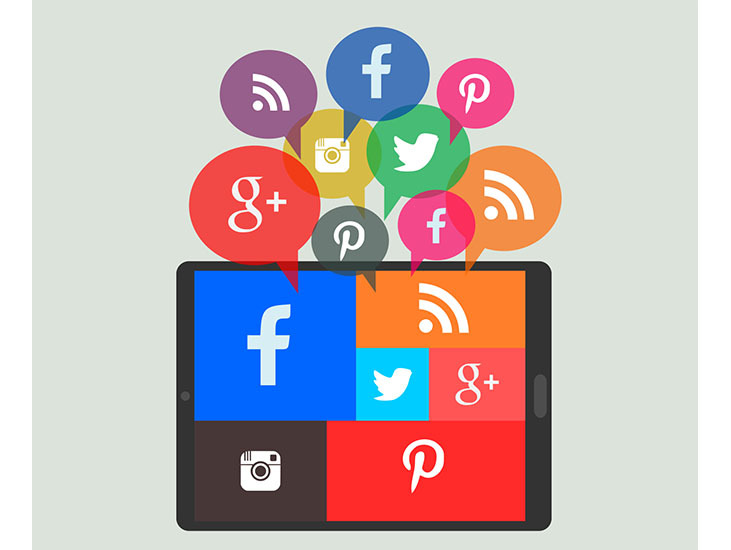 Social media marketing (SMM) allows us to reach out to a wider variety of customers and expose them to your brand and encourage sharing with others on the platform. Social media optimization (SMO) works with SMM to generate increased traffic to a website. SMO works by adding links on RSS feeds and sharing buttons, or encouraging user interaction by tweeting, blogging, and posting status updates. Social customer relationship marketing, or CRM, is the best way to reach out to customers and give them a chance to interact with your business in a format with which they are comfortable. For example, on Facebook a consumer can look at your page, read your posts, click the Like button, and discover opportunities for leaving feedback. This is a great way for a company to get insight about how individual consumers feel about their company. Consumers like having a voice when it comes to company feedback, and social media allows them to share that voice with others who may be interested in the topic. An experience may be good, bad, or indifferent, but sharing those perspectives gives a customer a sense of power over the process. This type of feedback allows a business to interact with customers directly, in a public forum, and show other potential customers that they take client satisfaction seriously. Enterprise social networking connects individuals who have similar interests in a specific industry or activity. These social platforms allow customers and employees to find the information they need, when they need it, so a project can be completed successfully. A customer-centric company can use social media to gain direct access to the consumers who use their products or services. This makes customer research much easier and quicker, since consumers are quick to provide feedback in this type of forum. Crowdsourcing is another aspect of social media that is beneficial to both customers and companies. With direct and timely feedback, a company can take advantage of customer suggestions and needs, using that information to influence future product releases or fixes to current products. With the good comes the bad, and social media has the potential for significant negative effects if it is not managed properly. It is important to set clear social media policies so that all employees understand what is expected of them online. Have clear guidelines regarding employee identification policies online, along with warnings about what type of information should and should not be shared as an employee of the company. The last thing you want is for an employee to share information that gets the company in trouble, either legally or in the court of public opinion.